If you’re a fan of any sports, this is one of the most incredible weeks to be in Chicago of the entire calendar year. 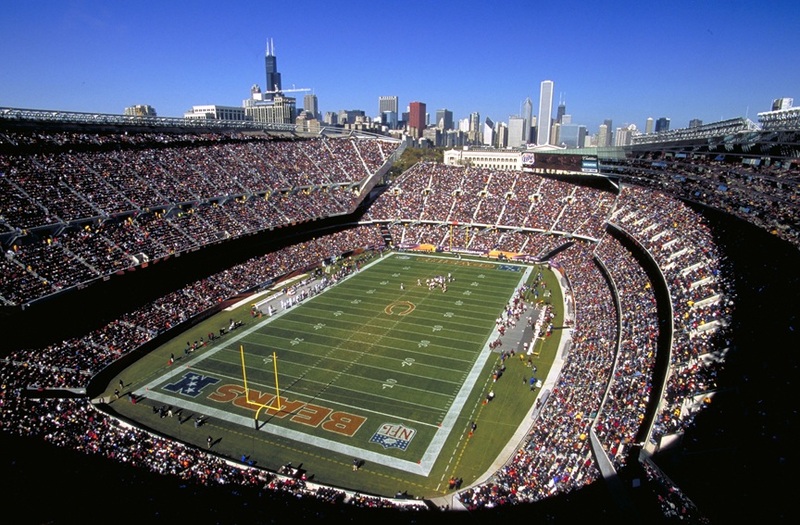 Following the Chicago Bears big win over the Atlanta Falcons in their opening game of the 2011 NFL season on Sunday, the rest of the coming week is filled with dynamic events. Here’s a look at the calendar. On Wednesday night, Sept. 14, at Toyota Park, the Chicago Fire will host international power Chivas Guadalajara in a friendly. Since hosting Manchester United in a friendly at Soldier Field on July 23, the Fire have lost only once in seven contests. For tickets to this match, click here. The PGA’s FedEx Cup comes to Chicago for an exciting weekend of playoff golf from the top players on the tour. This is the third of four playoff tournaments on the PGA’s postseason calendar, and Dustin Johnson will look to defend his title from last year. For more information on the BMW Championship, click here. The NASCAR Sprint Chase for the Cup highlights a busy week at Chicagoland Speedway. Starting Tuesday, ESPN’s “NASCAR Now” show will begin three days of live broadcasts from Navy Pier. Tuesday’s 30-minute show will take place at 2:00 PM CT, while a 60-minute show will air on both Wednesday and Thursday beginning at 1:30 PM CT. Some of the top drivers are expected to make appearances on the show, which is free to view at the Compass Rose Area (near the Beer Garden). On Friday night, Sept. 16, the Fast Five 225 NASCAR Camping World Truck Series race takes place. Tyrese Gibson and Jordana Brewster, stars from the motion picture “Fast Five,” will co-serve as the Grand Marshals of the “Fast Five 225.” The race begins at 7 PM CT.
On Saturday, Sept. 17, the Dollar General 300 Powered By Coca-Cola hits the track. This race will feature the best drivers on the NASCAR Nationwide Series. Gates open at 7:00 AM CT, and the race is scheduled to begin at 2:30 PM CT.
Then, the main event is on Sunday. The GEICO 400, the first race in the NASCAR Sprint Chase for the Cup, begins at 1:00 PM CT. Gates open at 7:00 AM CT for this event, which begins the exciting postseason for the top NASCAR drivers from the 2011 season. For tickets to any of these great races, click here. From Monday through Wednesday, the White Sox will look to play spoiler against the first place Detroit Tigers. Monday and Tuesday’s games are evening affairs, with an afternoon start on Wednesday. For tickets to any of these three games, click here. The Cubs begin their final homestand of the 2011 season with a three-game series against the Houston Astros on Friday afternoon. There are still great seats available for matinee games on Friday, Saturday and Sunday (Sept. 16-18). For tickets, click here. On Saturday, Sept. 17, the Blackhawks will host a sold-out Training Camp Festival at the United Center. Doors open at 8:00 AM CT for this great day that’s filled with opportunities for fans of all ages and abilities. There is the “Mad Dash to Madison” 5K race/10K roller race, as well as a 3-on-3 street hockey tournament and a bags tournament outside the United Center. Meanwhile, the first 10,000 fans entering the United Center that morning will receive a Patrick Sharp bobblehead and the chance to get the first look at the 2011-12 Blackhawks roster. This entry was posted in Sports and tagged BMW Championship, Chicago Bears, Chicago Blackhawks, Chicago Cubs, Chicago Fire, Chicago White Sox, FedEx Cup, GEICO 400, NASCAR, PGA, Sprint Cup. Bookmark the permalink.